I started in radio news 42 years ago in Milwaukee. Finally, I’m getting back into it – in a way – by introducing our first podcast on HealthNewsReview.org. The first episode features Dr. Hanna Bloomfield, who had a Howard Beale “mad as hell and I’m not going to take it anymore” moment when she received a piece of direct mail marketing that promoted cardiovascular screening tests that she knew she didn’t need. Listen to hear her story. 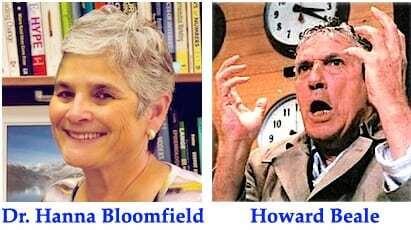 Our earlier blog post about Dr. Bloomfield’s newspaper commentary. There’s much to learn about podcast production and presentation, so please be patient with us as we find our way. I don’t know yet how frequently we’ll be able to produce and post new podcasts, but I expect the frequency to accelerate as we get better at this. 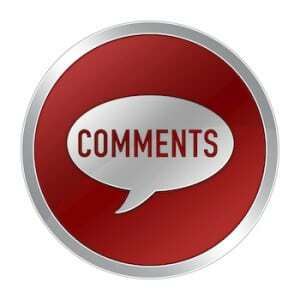 We welcome your feedback and suggestions for future podcasts. Credit: technical consultant Walfred Swanson of the University of Minnesota School of Journalism and Mass Communication. Update on August 13: You can now subscribe to the Health News Watchdog podcast, which is now indexed and searchable on the iTunes Store, at: https://itun.es/i6S86Qw. Update on June 29, 2016: “Pelvic exams may not be needed,” New York Times blog post on US Preventive Services Task Force’s new recommendations. I agree that statistical arguments or cost/benefit arguments about medical screening will not resonate with people. Why not use ‘the power of anecdote’?? Let’s get true stories out there from people who have been harmed by the followup to unnecessary screening. Tricky, perhaps, if they’ve been scared into having the screening in the first place. But that ‘s the only thing the would resonate with people. I’ve been following the medical screening discussion for quite some time. At this point I don’t know what’s useful and what’s not especially for old people (my age group). Is there any site that will help with clarification?? Great to see you back online Gary…and although I’ve not heard Dr. Bloomfield’s commentary just yet, this is an excellent topic to re-enter the public forum on; specifically meaning, with what I have long perceived as an overuse of (seemingly) preventative screenings. As one who creeps up on her 70th, I don’t know if this puts me in the “old people” category, but after my early on experience with the idea of submitting to routine Mammograms, I can attest to the fact that I’ve only had three (3) in my life and to this day, have never had breast (or any other kind of) cancer. Not to be smug at all, but after the first ‘responsible’ mammogram at age 40 which revealed nothing untoward, I dutifully went in for the next one two years later which did reveal a ‘suspicious shadow’ for which I was told would require a third look…which, as it turned out, confirmed there was (again) nothing to be concerned about. However, while knowing that a woman’s breasts are at their most dense during her second to fourth decades, boy…did my intuitive antennae get to waving about how much angst there had been during that time of waiting…as well as how precarious this particular screening is with its abnormal compression of the breasts…at the same time as…low dose radiation is being administered, As a combo…this did not make logical (common) sense to me and since then, I have found PubMed research that confirmed how, with a group of women who had routinely done their own self exams, it was only after they’d agreed to have a (first ever) mammogram, that for most…it was by less than 30 days afterwards that a (first ever) palpable lump was found. In other words, with majority of these women, it was the screening itself (!!) that incited such soon outcome and with so many who acutely knew their breasts, there was no way these findings were ‘a coincidence.’ Put another way, it is the often repeated mammograms that are THE inducing cause of further investigation which often leads to biopsy, surgery, radiation, chemotherapy and/or breast reconstruction. Unfortunately by now, I have lost too many loved ones to ‘mammogram justified’ breast cancer and this slew of inherently harmful therapies. Lastly, and perhaps most anecdotally absurd to ponder is that…with a family friend who chose to trust and follow the recommendation of her doctor, it was by almost her ninth decade that she was still submitting to routine mammograms and I can’t express how shocked I was to more recently learn that, as a result, she has endured a double mastectomy. Not all at once, but with two surgeries, again, with a woman now in her 90’s who most assuredly is not producing excess Estrogen, but far rather…for advantage of her doctors…did have the typical calcification of cellular breast tissue that would be expected and yet, if left alone, would have likely remained quite benign for a woman of such advanced age. And this is where the tyranny of ‘preventative’ screenings can go when a patient doesn’t stay informed in order to more properly self-advocate or..is so intimidated by their doctor and an overzealous profit-based system that they unwittingly become complicit in a paradigm that, at least for me, makes NO logical (good) sense at all.